Shocksite (http://www.shocksite.com) is an israely compagny that was etablished in 1999 teams start activities in France in 1989). Shocksite has since then be a solid partner for big company or small business in needs of computers solution including networks security, data base management, hosting, intranet or internet building. In Israel Main internet business of Shocksite (http://www.shocksite.com) is Netvision. NetVision, Israel’s first Internet company, was established in March 1994 by NetManage Ltd. and Elron Electronic Industries Ltd., which are both traded on the Nasdaq. NetVision is the oldest, most knowledgeable and experienced company in Israel in providing Internet solutions to organizations, businesses and private users. The company provides hundreds of thousands of customers with a variety of services, products and Internet-based solutions aimed at making users’ lives easier and more efficient. NetVision provides Internet services to approx. 400,000 customers in a variety of service packages. NetVision estimates its customer base at 25% of the total market for high- speed Internet services in Israel. NetVision has a bandwidth of 3 gigabytes to the Israeli Internet eXchange and a dedicated bandwidth of 2.6 gigabytes to the international Internet backbone. 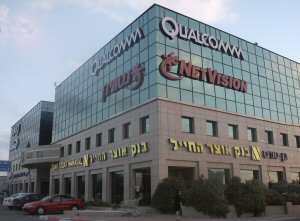 The company has network architecture unique in Israel in that it is built as two separate Internet providers, allowing maximum uptime using local and international communication from two locations in Israel (Tel-Aviv and Haifa) to two sites in the U.S. and Europe.